Your best… – …STILL CRAZY AFTER ALL THESE YEARS! …may not necessarily be the same as my best. Like I always say, to each his own. After all, everyone is entitled to his or her own opinion. I was there around the end of last year and had their pian sip kampua that I thought was good and the pian sip was big and had a lot of meat in it. 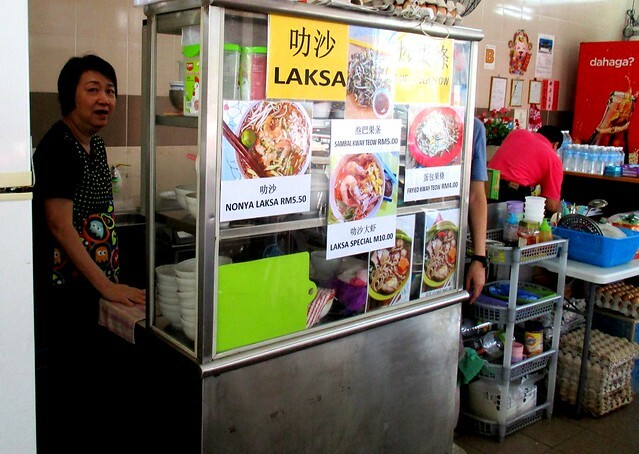 The very instant I shared the link to that post on Facebook, somebody commented that it was the best kampua mee in town. Ah well! I would agree to some extent but there are a whole lot of others who would insist that what they have had elsewhere are the best. In fact, there have been some that people praised to the skies but when I went to try, I thought they were quite mediocre, dunno what the excitement was all about. Ah well, as the saying goes, one man’s meat is another man’s poison. …though a bit too red for my liking. I did blog about how to go about getting the meat and soup so red here so you can click the link to go and see if you are thus inclined. Usually, you would get only 2. For some reason, it did taste a little different from the rest, the ones that I like, not necessarily better – just different but yes, it would be good enough if you happen to be in the vicinity and are thinking of having mee sua but I sure would not bother going out of my way to go for it especially considering that the area is always so congested and finding a place to park can be quite impossible. The guy at the aforementioned stall suggested parking at the basement car park at the mall down the road and walking over. WALK!!!??? Makan free, is it? Otherwise, no, thank you. LOL!!! 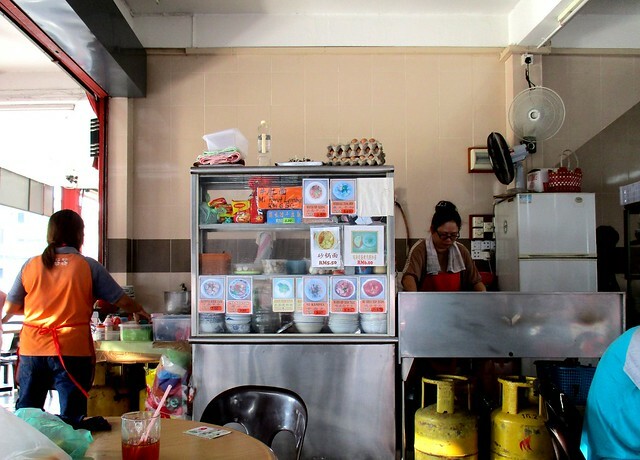 KING CAFE (2.291589, 111.826200) is located right next to the RH Hotel, at the corner of the Jalan Kampung Nyabor and Jalan Sanyan/Causeway junction. I still scare of the redness in mee sua although I know what it is from. Not many people do this over here unlike the Foochow-dominated Sibu. It is worse in Sitiawan, blood red!!! And they say it is sweet. The one here was a little sweet too, not quite something I would fancy. The kampua and kompia there are different too. 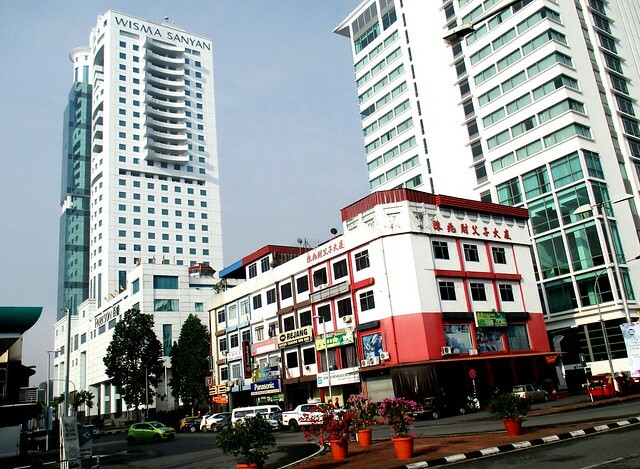 Not just in Kuching, all the same here. Worse even, I think. That was what the guy at the shop said – just park by the side and come and eat. Everyone does it! Well, I am not everyone and I am not going to do something like that. I do walk around a lot, squat and all when I do my gardening every day. When I was teaching, I had my fair share of walking – this block to that block, up this one to the 2nd floor, down and over to another one, up to the first floor…in between lessons day in, day out and teachers do not sit while teaching. I don’t mind walking on level ground – it is going up the stairs that I am not all that fond of. I would not mind to park at a distant & walk if the food is good. I, for one will never park my car anyhow so that I can eat at peace. 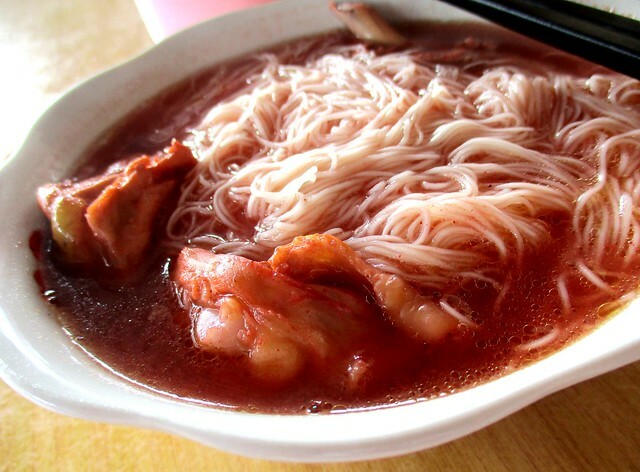 I don’t mind the red colour of the mee sua as long as it taste good. I love the buildings in your first photo, Arthur! Some of those in our town centre. Early in the morning so not so congested yet. The colour of the soup is really interesting. It’s between pink and red. I wonder what gives it the unique hue. Pian sip here is pretty good. Big and meaty. Yes, I had that before, nice. I liked the one I had the other day at 99 Kopitiam in Permai too, very very nice. Blogpost on that coming up real soon. Nowadays I see a lot of clamping cars on facebook. and some get themselves into hot soup once their cars are clamped.. so I really don’t mind to walk a bit if it is difficult to park nearby the shop. Yes, eat in peace is better than eating on the look-out. I like meesua with red wine too but I know I cannot take too much, a bit too heaty for me. Ginger has a lot of health benefits. 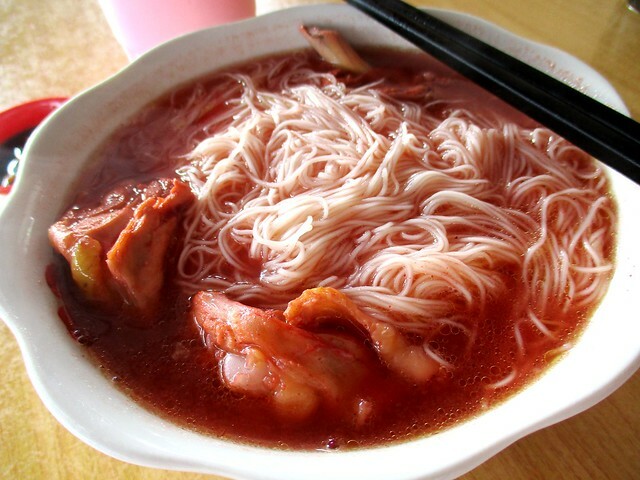 Mee sua will pale in comparison with kacang ma – that one has lots of ginger. I don’t mind walking on nice cool days but if I have to walk a long way, I will be dripping in sweat by the time I get to one place and I will be hot and uncomfortable, not able to enjoy the food or anything anymore. 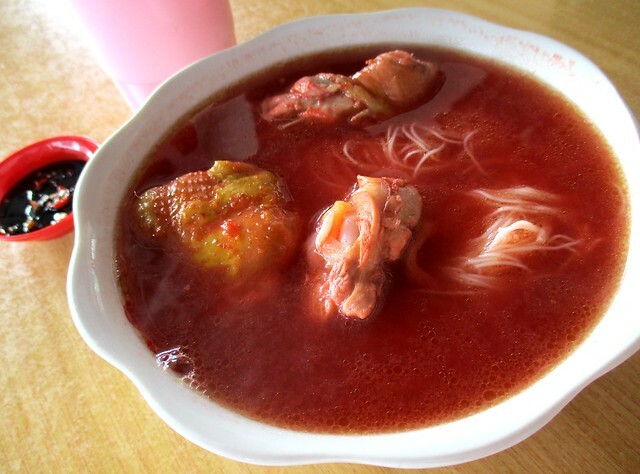 I must say I love this red wine mee sua a lot! I like lots of ginger taste but I don’t like biting into it. Slices are fine – at one time, my missus would pound the ginger to get the juices out and I did not like biting into those bits of it in the soup. Pingback: Presumptuous… – …STILL CRAZY AFTER ALL THESE YEARS! Pingback: A good year… – …STILL CRAZY AFTER ALL THESE YEARS!